Ron Paul stands for financial freedom and economic transparency. I support Ron Paul to the fullest and I know many of you do too. There are a lot of coins out there that have a ridiculously high total coin count (hundreds of millions or even billions). Scarcity creates value, not abundance. 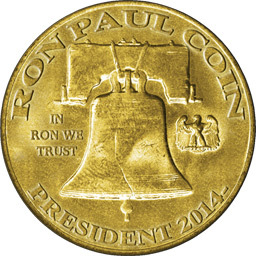 RonPaulCoin is built on this quality of scarcity, like gold, which Ron Paul so commonly speaks in support of. Because of this, RPC has 1/10th of the total coin supply that Bitcoin will ever have. ZERO pre-mining. This is not a pump and dump coin. This is a true holder-of-value coin.